The 2014 summer market season in Vancouver has been off to a rather rainy start for me. I seem to be able to time the weather perfectly so that if I’m inside at Granville Island public market, it’s beautiful & sunny outside. If it’s pouring rain, on the other hand, you can find me huddled under my tent at an outdoor market, sipping hot tea & trying to keep my feet dry. I’ll be at Granville Island quite a bit this July & August, plus a couple more days at the farmers markets & two other fun summer markets in Vancouver. 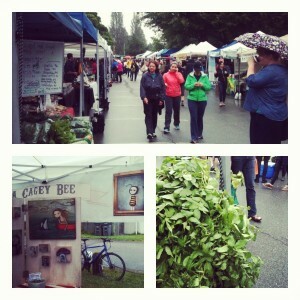 This street festival in Kitsilano is a new summer market for me & I’m super excited to take part. The line-up of bands looks amazing & judging by the photos from last year, as long as the weather is sunny it looks like it will be great fun! 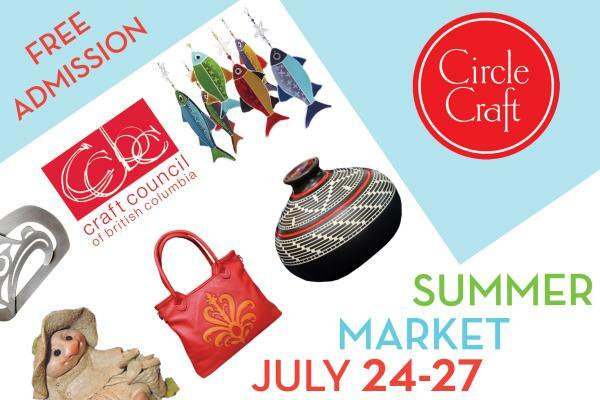 Circle Craft launched a new summer market last year & this is my first year taking part. 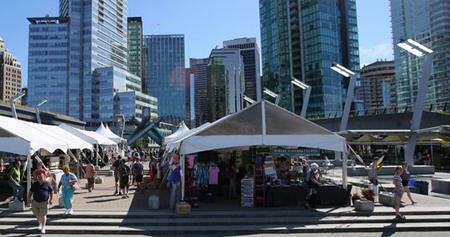 In the plaza beside Canada Place (home of the Olympic torch) there will be giant tents set up housing some of Canada’s finest artisans. Click here to see my full schedule on my Events & Exhibitions page. Previous postSomething Big Is Coming!